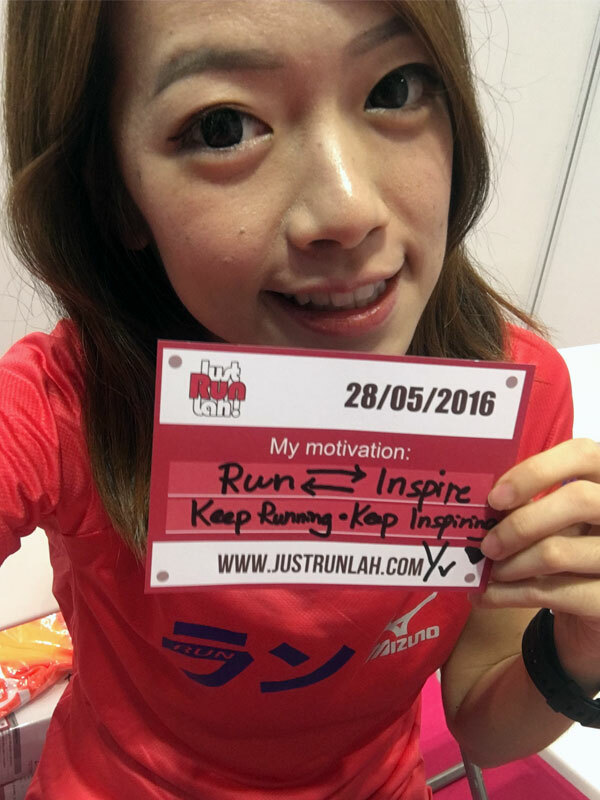 Interview with 2 Up-and-Coming Singapore Triathletes | JustRunLah! The Singapore International Triathlon (S.I.T) is Singapore’s pioneer triathlon event that established in 1984, an era when triathlons and endurance sports in general were largely unknown in Asia. Today, S.I.T has become one of the most highly-anticipated, international sports events in Singapore. Last weekend in its 2016 edition held at the East Coast Park, S.I.T attracted 3000 triathletes from countries such as Italy, USA, Japan, Indonesia and Malaysia, who vied for various coveted championship titles, including the Asian Championships. It was also a perfect setting for local young triathletes, such as Sumedha Lim and Christy Suriadi to race the Lion City with international athletes. Here, let Sumedha and Christy share their triathlon journeys and experience with you! Sumedha Lim (age:20) is a student doing his final year in Singapore Polytechnic and also a national athlete. He has done more than 20 triathlons so far. In 2016, he embarked a race in cycling, aquathlon, duathlon, triathlon in Subic Bay, Philippines and S.I.T was his first triathlon in Singapore this year. Amazing efforts! Let’s hear how this full-of-life and passionate young guy manages his study-and-sport life. JustRunLah! : When did you first pick up triathlon and what inspired you to do so? Sumedha: I’ve been swimming and running since young. At Primary 4, I was introduced to cycling by a swimming coach who is also a friend of my dad. Then I got into a sports school in 2009, that’s how I started to train seriously. JustRunLah! 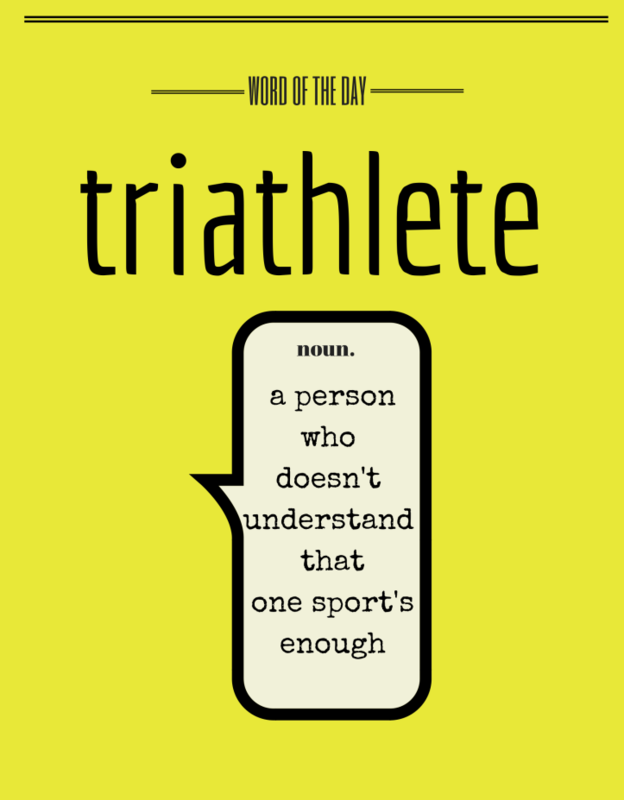 : Would you say that one needs to have a certain mind-set to take on triathlon races? Sumedha: Yes, ENJOY RACING! Training is tough, I train about 2 hours everyday, sometimes morning or evening, sometimes both. It depends on my module schedule. But I always set a goal and train for the next race. Go for a race by looking forward to the next race, this is what keep me going! The comparing performance also gets me from leisure swim to a more competitive manner. The more I do it, the better results I get! Sumedha: To represent Singapore for major games, such as SEA Games. JustRunLah! 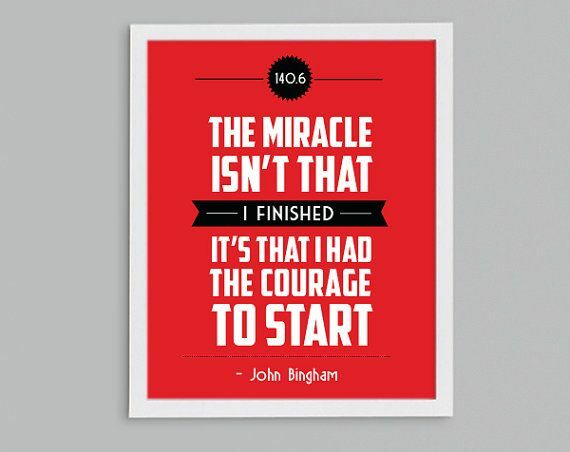 : What is your mantra for when the going gets tough in a race/training? JustRunLah! 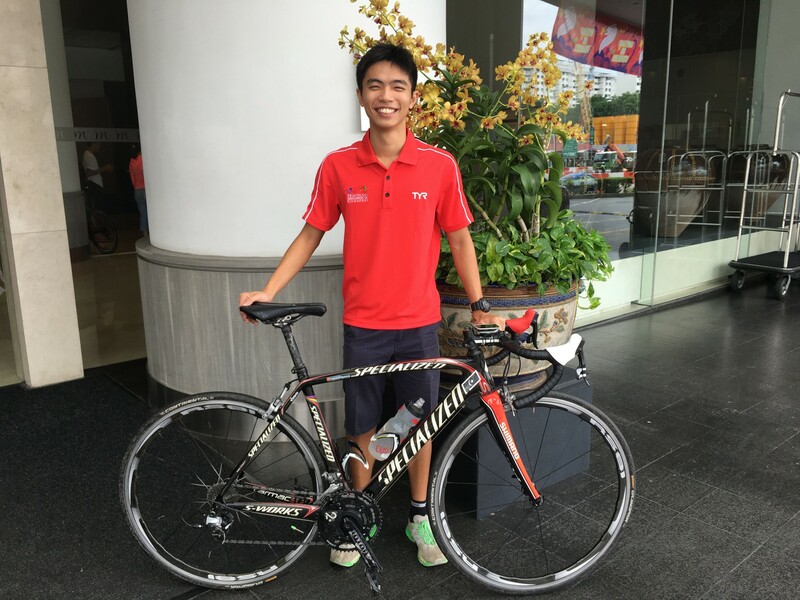 : Any tips/advice for Singapore young triathlete or triathlete want-to-be? Sumedha: For young triathletes, we just need to TRAIN HARD, TRAIN WELL. Swim decently in open water is very important. For biking, it is okay to get a rental bike if you are just trying out. Don’t limit yourself just because you don’t have the gear. Usually, it needs about 2 to 3 months of training at least before a race. You need to get used to the transition and work on it. As you see, it’s easier to cut some minutes during the transition than to run faster. Lastly, and the most important one, stay calm in the race! 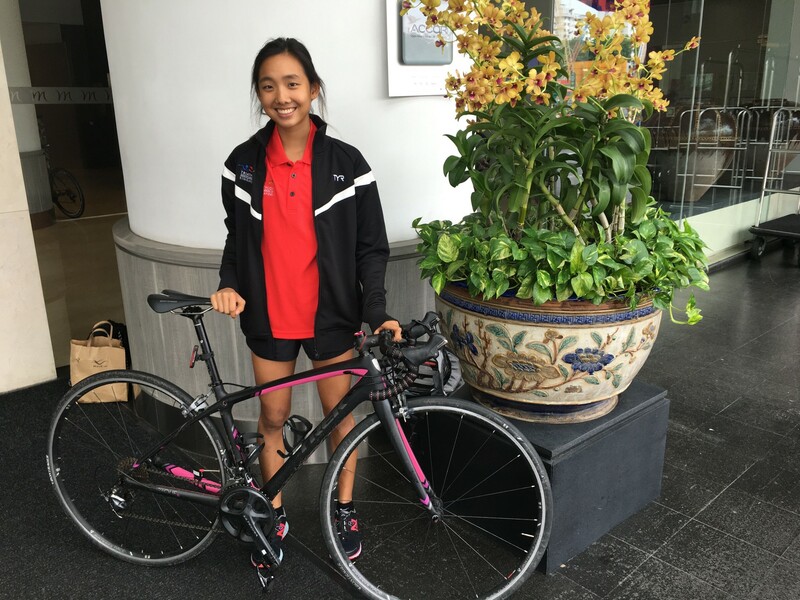 Sumedha’s training buddy, Christy Suriadi (age:19) is a student in Ngee Ann Polytechnic and she is on the track and swim team. From a bike crash accident in 2014, she slipped off from the bike and had a back and hip fractures. Today she is back in strong shape and she took part more than 10 triathlons so far! She just came back from triathlons, such as Philippines and Japan (ASEAN Championship) and S.I.T was her third marathon this year. To this enthusiastic and never-give-up young lady, triathlon has been a major part of her life! Let’s find out why and how she overcomes challenges. Christy: At Secondary 1, I have been actively swimming in sports school. Then I picked up running at Sec 3 and 4 and I won in an aquathlon. Of this achievement, I was encouraged to pick up cycling. I mean, cycle competitively on a road bike. Since then, I really love triathlon! It’s very EXCITING! Plenty of technical skills to learn and I have no time get bored. Also, I like outdoor! It’s such an enjoyment when I train running at MacRitchie Reservoir, I like the nature and the trails give less impact to my legs. JustRunLah! : We know that you had a bike crash accident in 2014. How did you get through that and back to triathlon? Christy: Due to that accident happened after my third triathlon, I was out of the sport for a while. It took me 6 months for recovery. I was a bit frightened when I got on my bike again. I just told myself: I NEED TO DO THIS! My goal is clear, so I guess my mind and my body are helping in a way. We slowly increased the intensity of training and now I’m fully recovered! Christy: If you want better, go get better! Christy: To represent Singapore and be qualified for World Triathlon Series. Christy: Just don’t give up. Take it slow and really, have fun! Like Sumedha and I train in groups with Second Wind Academy. It’s an academy that welcomes all passionate athletes. We have our training partners and we encourage each other work towards our goals! Sumedha and Christy are really amazing! We had this conversation at S.I.T press conference, one day before their race. Yet, no sign of stress or fatigue on them, we only see EXCITEMENT and PASSION in their eyes! They just seem to do what they love and they can’t wait to race! Hope you are inspired as much as we do. And based on their stories, take one step at a time; click here to start your triathlon progression! Looking for more upcoming Triathlons? Check out our up-to-date Asia-Pacific Triathlon Calendar.